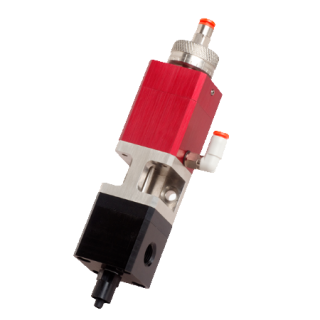 The IDS Valve Finder Guide© is a general guide for our wide selection of dispensing valves. 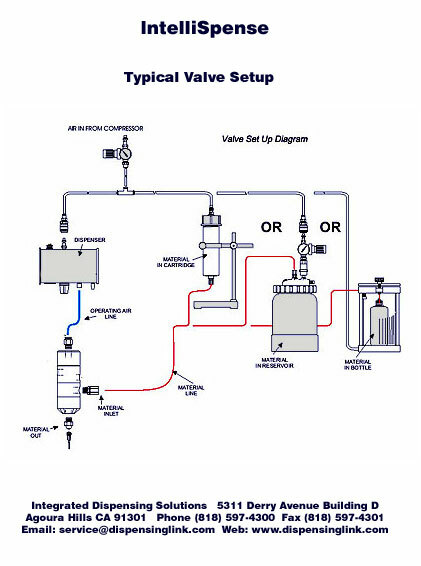 For a typical valve setup, click here. Choose by application or choose by material in the left column. Look for the X. The correct valve will be in the top row, but please consult an IDS Representative before finalizing your choice. 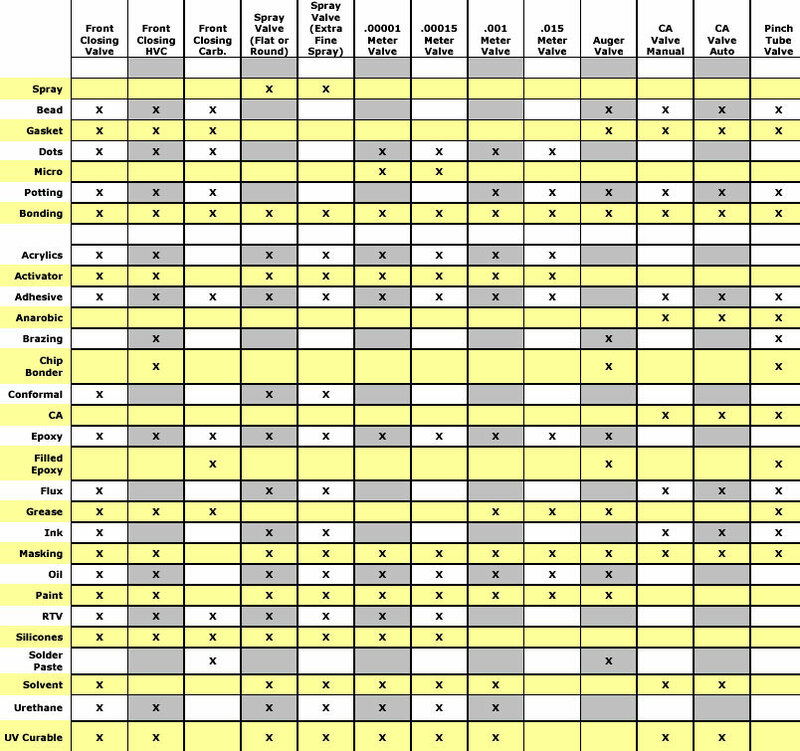 To download our Valve Finder Guide in PDF format for reference, click here. IDS offers several syringe-based options - air powered and air free dispensers and a variety of valves and valve controllers for single component materials. Low viscosity liquids, such as solvents and marking inks, are no exception. At IDS, we make your return on investment our highest priority. The first step to understanding your needs is to decide on the formulation. Once you have chose the material to dispense we then need an idea of the individual deposit size in volume, as well as what your throughput will dictate for total usage in a day or in a shift. Will it be CCs, Ounces, or Gallons? 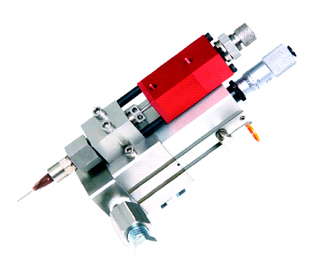 Will your desired throughput rates require automation? 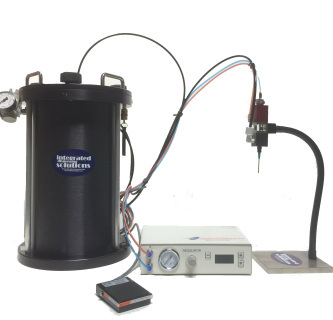 IDS valve based systems are often used in Bulk Dispensing applications, but they are also used in high accuracy positive displacement or volumetric dispensing applications that can provide micro dot repeatability and accuracy. 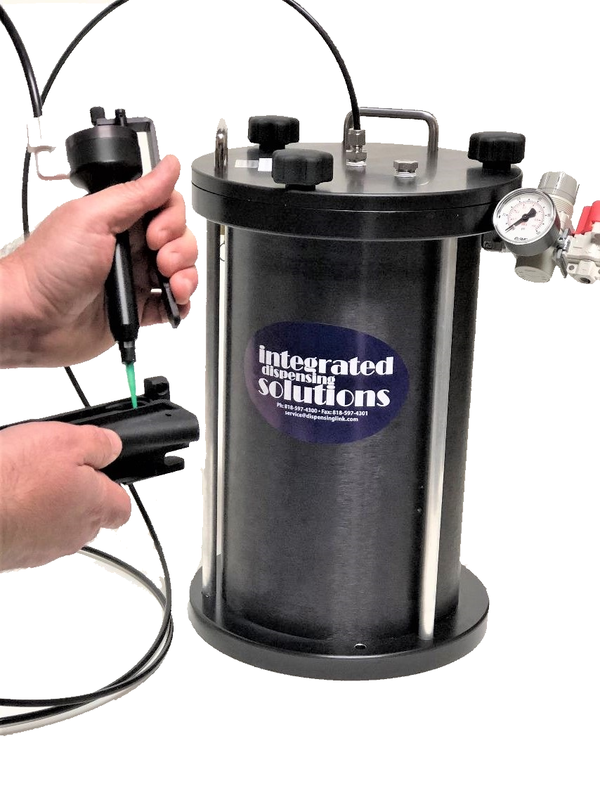 For bulk dispensing applications, the volume of usage will determine what the size of the reservoir needs to be. 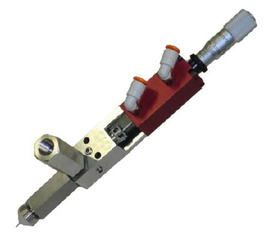 For a typical dispensing valve setup, click here! Of course, not every valve is the same. 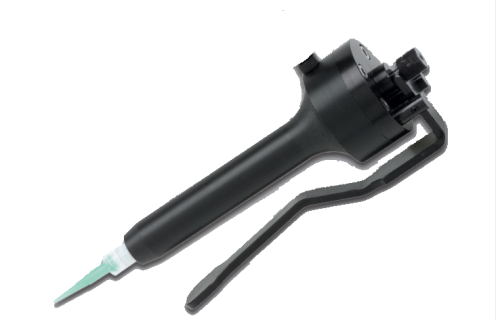 Some use bulk reservoirs and others are more commonly fed by a syringe. Still need help? Dispensing is not easy, and there are many options. Contact an IDS representitive today for more information! The 7040000-3-2LPKG includes the 7040000-3 Automatic Diaphragm Valvethe 7011010-5L - 5 liter open top reservoir, the 5900011VC valve controller and a desktop stand to hold the valve over the work area. 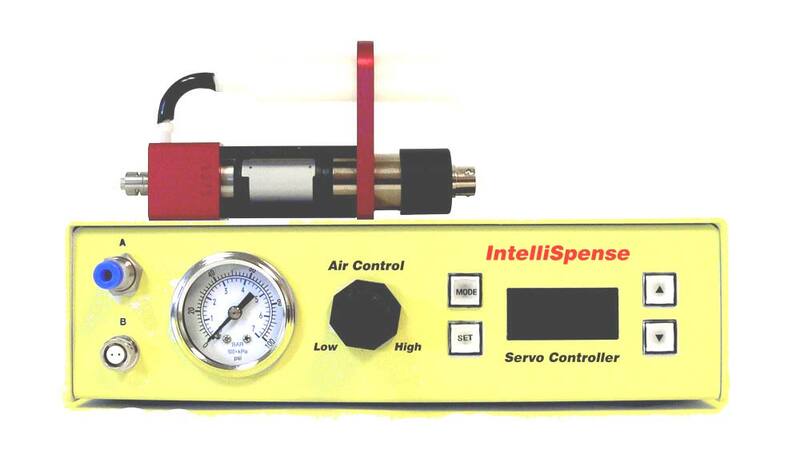 Requires clean compressed air up to 100psi. 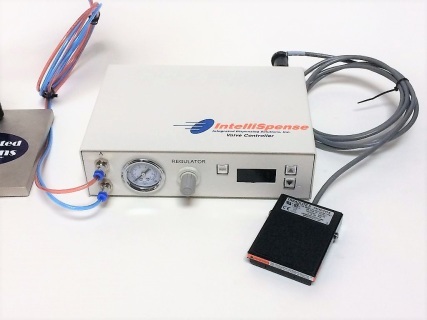 This system is intended for timed metered shots or manual user control, used in automation or at the desktop level for dispensing low viscosity flow-able material. 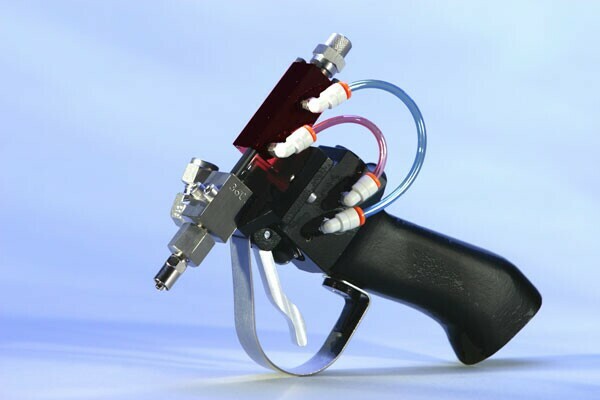 Flux, Cyanoacrylates, Paints and more.